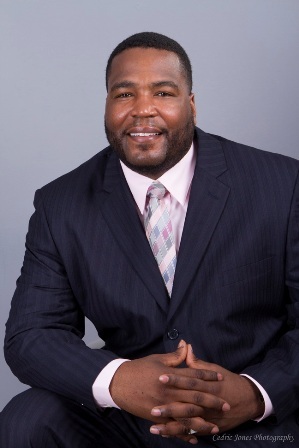 Clinical psychologist and expert on the mental health of African American children, Dr. Umar Johnson will speak in Los Angeles on Saturday January 7, on Black politics during the Donald Trump presidency. His presentation, titled “Making America White Again: Black Power Politics in the age of Donald Trump”, will take place at Ward AME Church, located at 1177 W. 25th St. The event begins at 5:00 p.m. however, doors will open at 3:00. One of the most recognized social scientists & Pan-Afrikanists of the 21st Century, Johnson’s book, articles and lectures are included by college and university professors across the country within their required course materials. He is said to be one of the most requested speakers in the world, and has lectured in North America, South America, The Caribbean, Europe and Africa. Johnson has been featured on"News One Now" with Roland Martin, the Tom Joyner Morning Show, the Bev Smith Show, The Breakfast Club, and has appeared as a special guest life coach on Real Housewives of Atlanta. As a child therapist, he works with depressed and behaviorally-challenged males. He also authored the book "Psycho-Academic Holocaust: The Special Education and ADHD Wars Against Black Boys," the 1st book ever written by a African-American male school psychologist to Black parents with specific strategies on how to fight back against special education and ADHD misdiagnoses. Johnson is a direct descendent of both abolitionist Frederick Douglass (1818-1895) and the late Bishop Alexander Wayman (1821-1895), 7th Bishop of the AME Church, both from Maryland's Eastern Shore. He is currently working on building his new school, The Frederick Douglass & Marcus Garvey RBG International Leader­ship Academy for boys, America’s first residential academy for Black boys founded upon the principles of Pan-Afrikanism and International Economics. He is currently planning his regular annual “Unapologetic­ally Afrikan” Group tour to the African continent, which takes place the last week in July and first week in August. The tour, which always includes stops in two different countries, is designed to help Afrikans in the west reestablish their psycho-spiritual connection to their ancestral homeland.